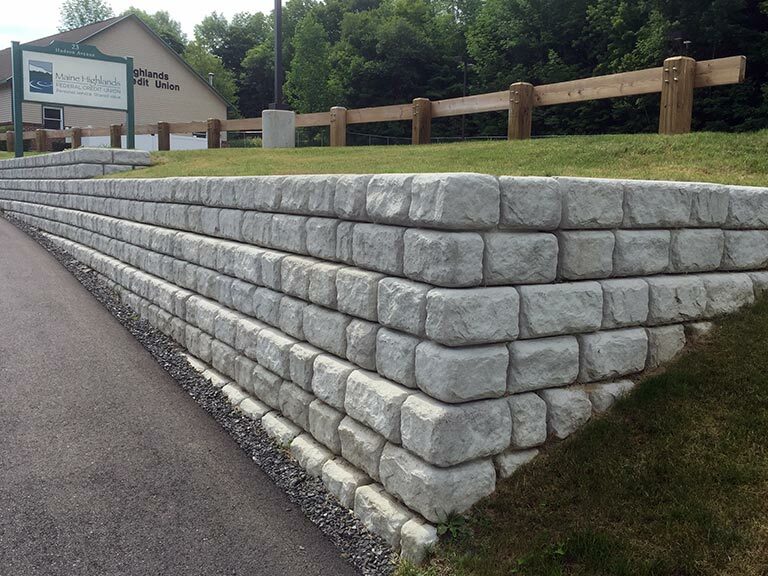 Redi-Rock® of Central Maine, a division of Haley Construction, is proud to be the area's only authorized manufacturer of Redi-Rock® large block retaining walls, free-standing walls, and columns. Redi-Rock® blocks are available in either split limestone, cobblestone or ledgestone faces with natural stone coloration. 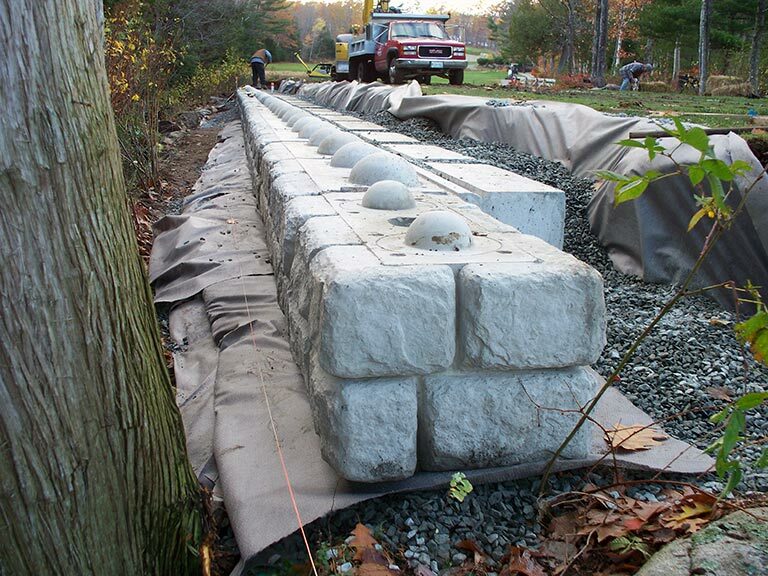 Redi-Rock® retaining wall blocks are approved by the Maine DOT for municipal use. Call our offices at 207-876-4002, or fax us at 207-876-4421, for pricing, availability and specs for all of our Redi-Rock® products and other construction services. We offer delivery to any desired location upon request. Visit the official Redi-Rock® website for complete technical specifications to assist you in your project design. Click here for a complete set of block diagrams and measurements. 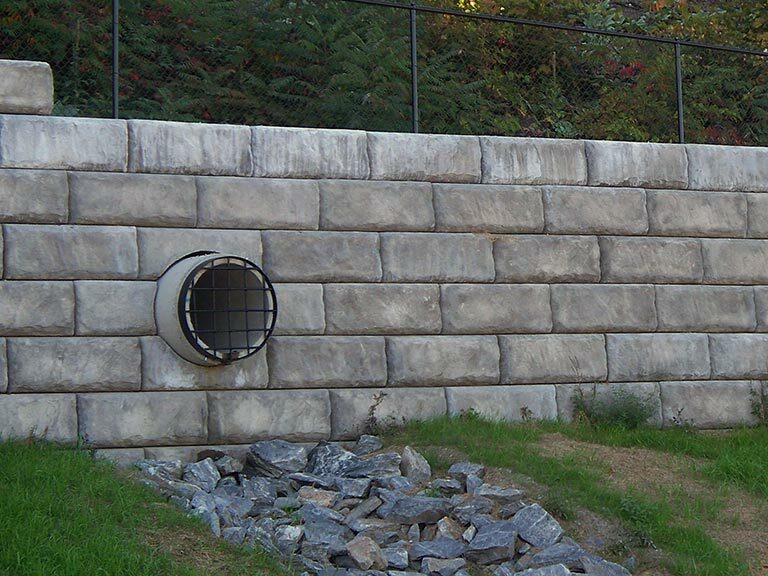 Redi-Rock® is the world's most innovative retaining wall system. 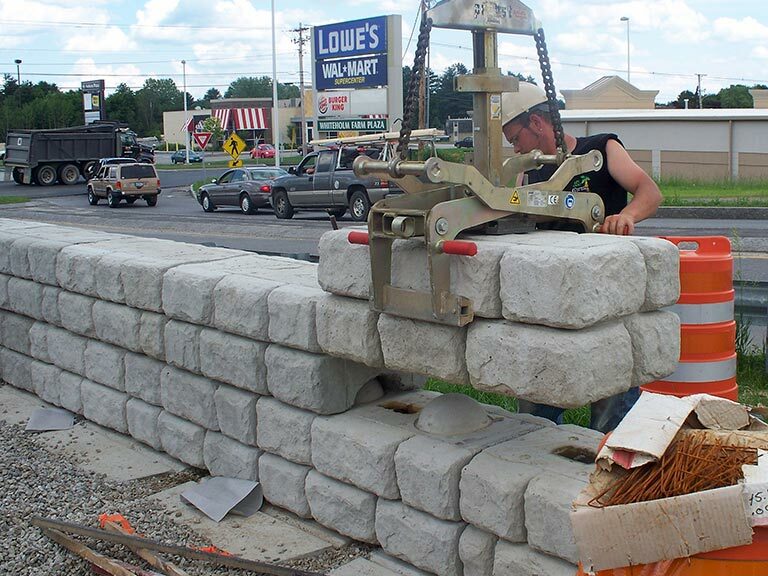 The system features designer rock faces capable of achieving over 13 feet of height without the use of expensive geo-grid or tie-back systems. 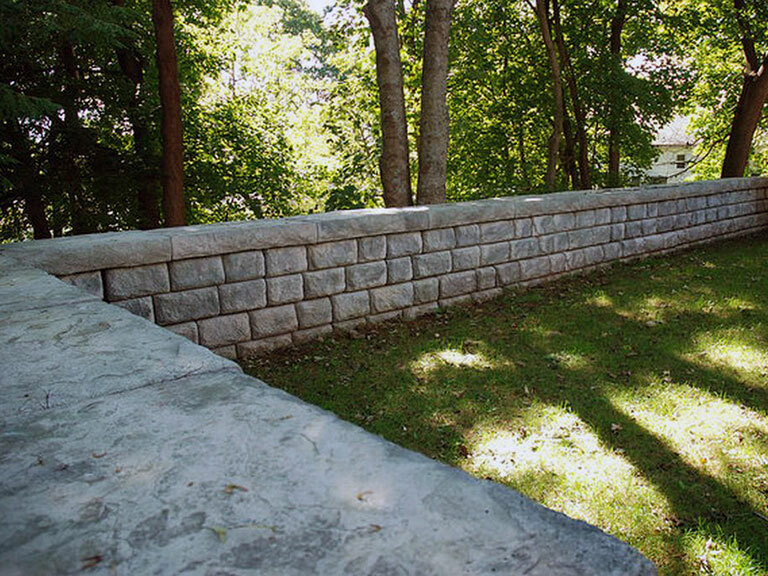 Each Redi-Rock® block weighs between 1,300 and 2,400 pounds and is manufactured with the strength of 4600 PSI, resulting in a much higher density and providing the strength needed to create stable retaining walls up to 13.5 feet in height using only well-drained backfill and no tie-backs. The precast blocks are designed for many different applications giving you the ultimate in flexibility for your design. More detailed information on Redi-Rock® blocks is available from the Redi-Rock® website. Redi-Rock® free standing walls are designed for use in a wide range of applications, including guard rails, barrier walls and area partitions. They blend seamlessly with all other Redi-Rock® products for a unified, neat and professional appearance. Redi-Rock® free standing blocks can be finished on 2 or 3 sides, completing the manufactured wall with the look and feel of natural rock. Visit the Redi-Rock® website for technical specifications and further information on Redi-Rock® free standing walls. Redi-Rock® columns will add a unique dimension to your driveway, patio or any other location of your choice. Design options include utilizing them as light fixtures, gate entrances, or as accents. 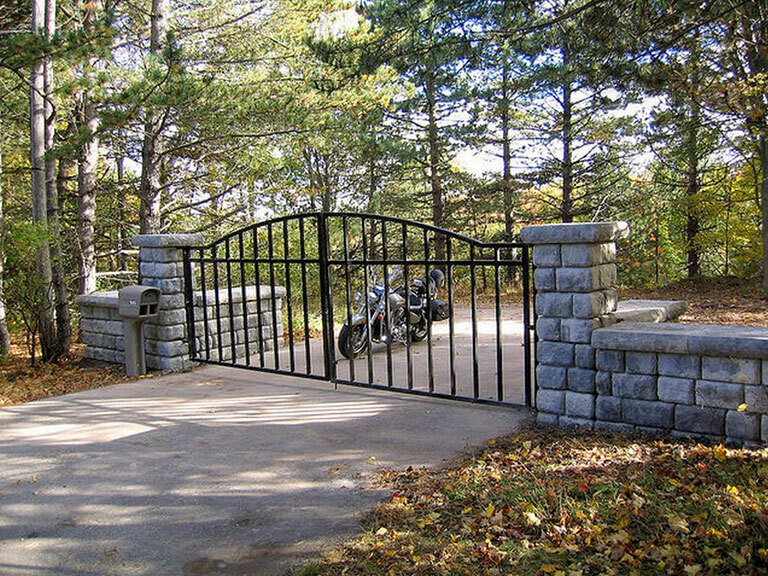 Of course, all Redi-Rock® products are manufactured to match and blend, ensuring your completed project is both beautiful and professionally detailed. Further information for Redi-Rock® Columns is available on the Redi-Rock® website.